We offer a wide range of specialised products and services for your trucks and trailers, from new tyres to rim engineering and tyre retreading. We are constantly negotiating prices with our suppliers to bring you affordable truck tyres that don’t compromise on quality. Our extensive range of brands and patterns deliver proven results for fleets across Southern Africa and offer performance in all wheel positions. As the largest single retreading facility in the world, you can rely on us to supply you with a range of quality retreaded tyres that suit your operational budget and requirements. We offer a range of standard specification rims. Our rim engineering centre has specialised equipment to meet your rim repair, refurbishment and custom-built rim needs. Repairing and refurbishing your rims saves on your operational costs. Retreading your fleet’s tyres reduces the cost per kilometre since the tyre casing can have up to three lives. Retreading saves costs and has a positive impact on the environment. We have the largest single retreading plant globally with the capacity to retread 800 tyres per day. Our most recent technology upgrade places us amongst a handful of facilities worldwide with the latest automated computer controlled equipment. This technology ensures that our retreaded products are produced to consistently higher standards than previously possible. We stand behind our products and provide you with the quality guarantee that should one of our retreaded tyres fail due to workmanship, we will refund you for the amount of tread remaining. Ringtread technology is the only retreading system that uses a spliceless pre-cured ring that results in no weak point. The ring is expanded and centered over a casing as a complete unit. 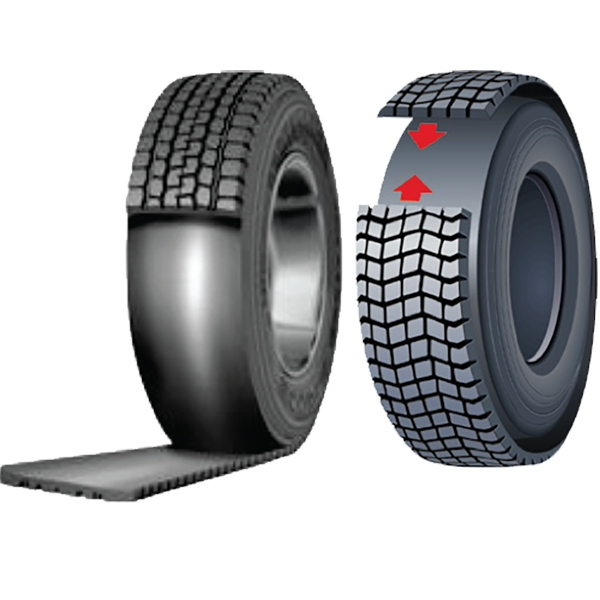 It then adheres to the casing without any tension or deformation of the tread pattern. 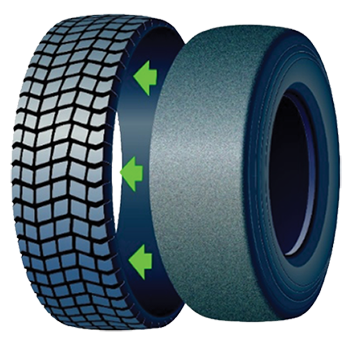 The convex buffering follows the curvature of the casing and ensures a uniform rubber undertread over the whole surface resulting in decreased heat build-up. This technology gives you the same performance and service life as a new tyre. The technology is licensed by Marangoni and produced by Leader Tread. For conventional retreading, our plant uses the latest automated technology to profile the tyre casing to the exact specification, apply the correct amount of bonding material, precisely lay the tread, and control the vulcanising process to bond the new tread to the casing. We have a wide range of tread patterns available that are designed to meet any fleet requirements. We have three unique brand offerings: our Leader Tread brand is our top performer, Leader Tread Plus is our mid-range brand, and the Milemaster range is positioned as our top of the range brand. Our rim engineering centre has specialised equipment to meet your rim repair, refurbishment and custom-built rim needs. Repairing and refurbising your rims saves on your operational costs.